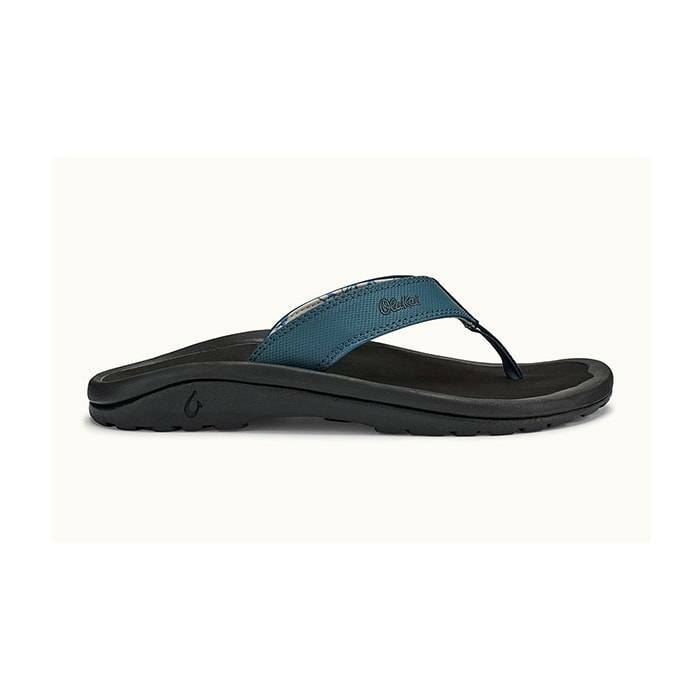 The Olukai Men’s Ohana Stormy Blue-Black sandal is perfect for around water or around town. This sandal is from OluKai’s Makai Collection which pays tribute to the link between ecosystems with footwear designed for the active waterman. This collection uses comfortable, durable and breathable materials. Also featured, is a water resistant synthetic strap, so getting it wet is no problem. The soft nylon toe post webbing adds to the overall comfort. Lastly, the non marking rubber outsole has a coral reef lug design for added traction. Pair this with your favorite pair of board shorts or walking shorts. You will love the way this sandal looks and feels.